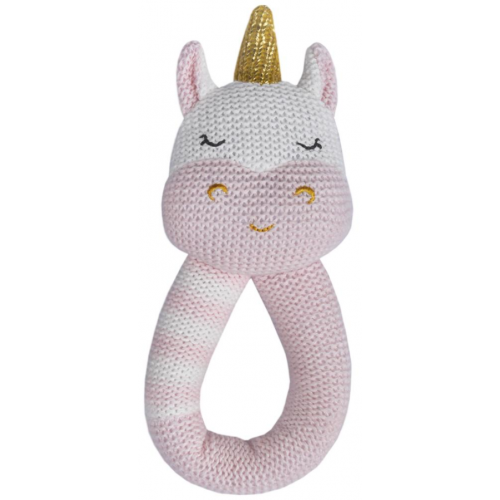 Keep baby entertained with our gorgeous Kenzie the Unicorn rattle. Made from 100% cotton knit and featuring a soft jingling rattle, Kenzie is sure to be instantly loved by baby. 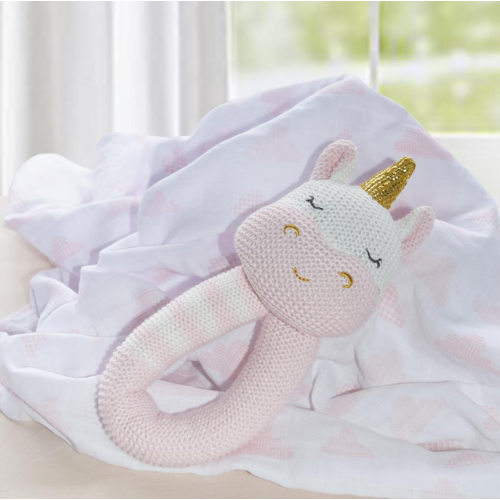 Match back with our Kenzie the Unicorn Knitted toy for the perfect gift.